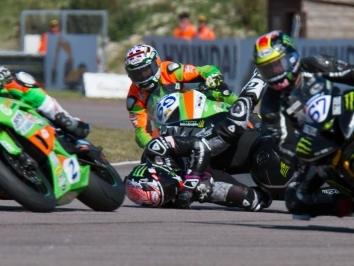 Astro JJR BMW’s Alex Olsen denied Josh Elliott another win as he took his second Pirelli National Superstock 1000 victory in today’s red-flag-shortened scrap. It was almost a repeat performance for the leading duo after they had traded blows in yesterday’s two-part 48-lap race, but once again Elliott was denied in the closing seconds. 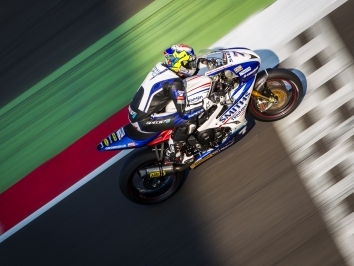 Looking to make amends for yesterday’s runner-up finish, OMG Racing Suzuki’s Elliott got the best start, but it looked like déjà vu as pole-man Olsen slipped ahead before the end of the second lap. While Team WD40’s Claudio Corti and Billy McConnell diced just behind, the leading duo began stretching a lead before red flags were thrown on lap six for Dan Stamper’s crash at Becketts. 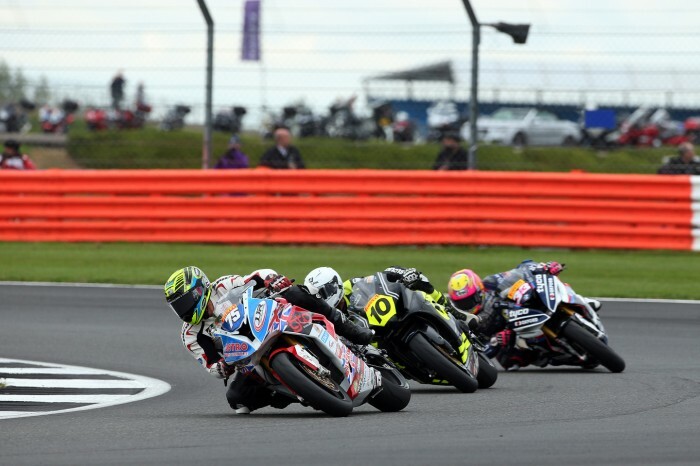 When action got back underway for a shortened 15-lap restart, Elliot and Olsen were back into the lead and looking to run away, but Buildbase Suzuki’s McConnell managed to bridge the gap to them in the closing laps, with Tyco BMW’s Keith Farmer not far behind. 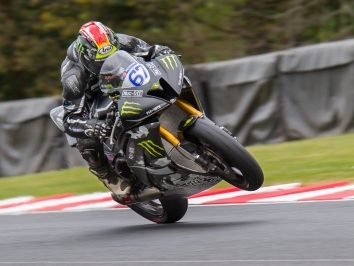 Elliott looked to be setting Olsen up for Luffield, but yesterday’s winner out-braked the Northern Irishman into the penultimate bend at Brooklands and held on to take his second ever win in the class. Meanwhile, a massive moment for McConnell exiting Luffield allowed Farmer to beat him to the final rostrum spot, further narrowing the championship points gap to 1.5 as the Aussie still leads the order.